Zippo have been the number one choice for lighter aficionados for more than 80 years thanks to their expert construction, reliable durability and wind proof flames. 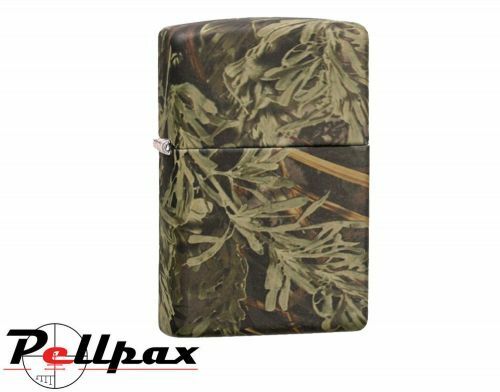 This lighter is finished in Real Tree camouflage to match the rest of year gear and comes packaged in a lined presentation box. All Zippo products are backed by their lifetime guarantee. Short video unboxing this Realtree Zippo.